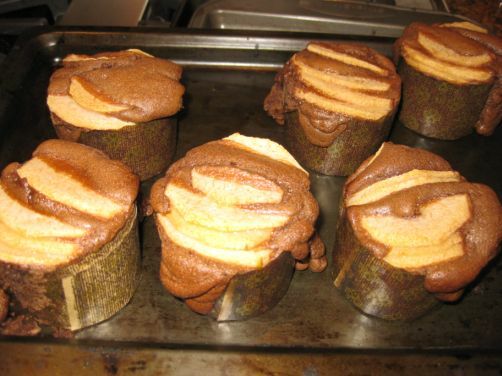 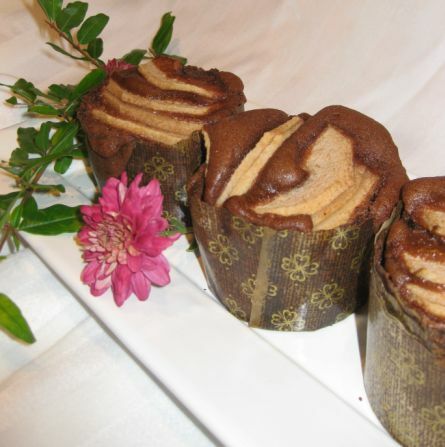 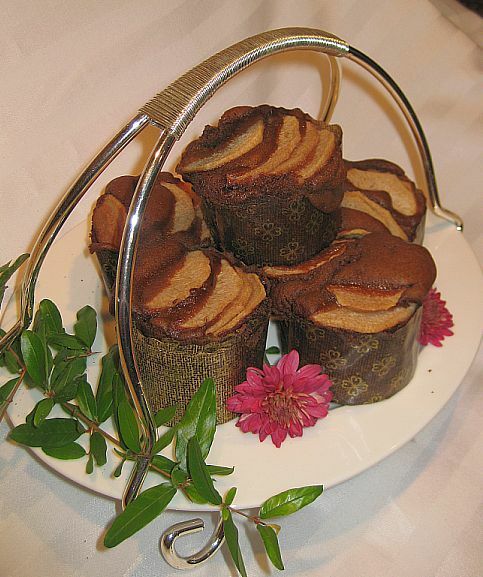 My friends Hanh and Huy gave me a bunch of Asian pears and I just can not eat them all so I decided to make individual chocolate cakes with Pears. 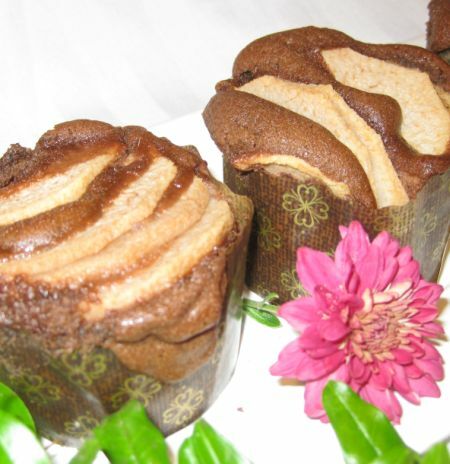 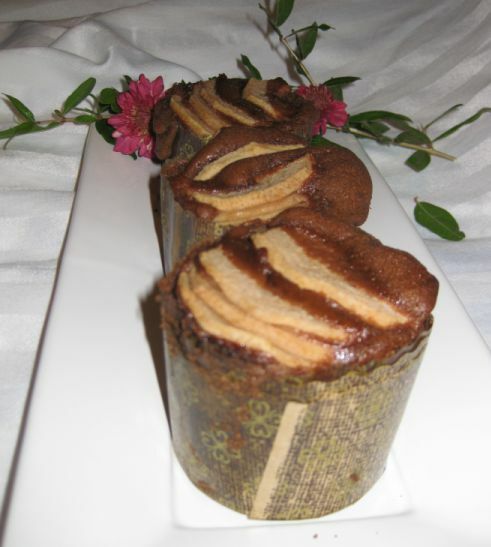 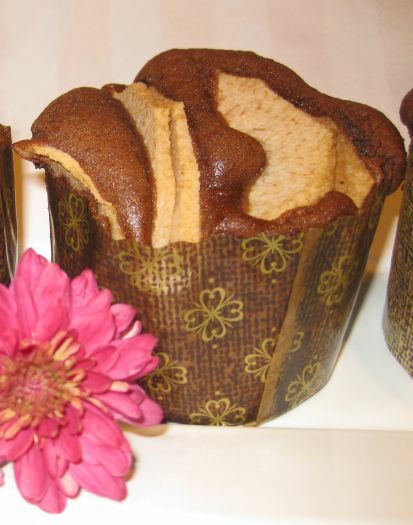 These little cakes are so tasty with a spoon of ice cream and hot cup of coffee. 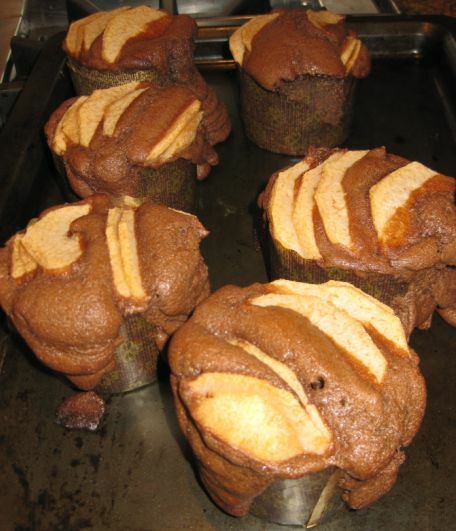 They are also great for breakfast! 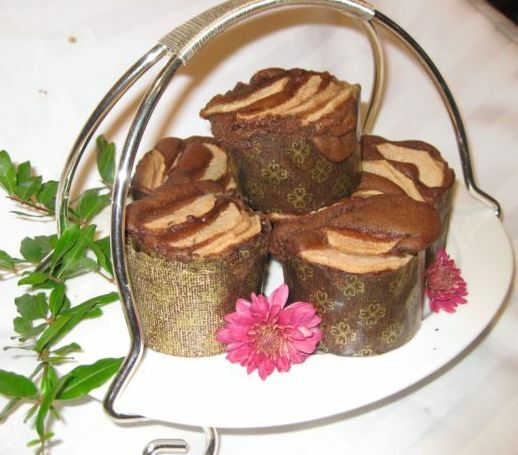 Close up look at the chocolate cakes. 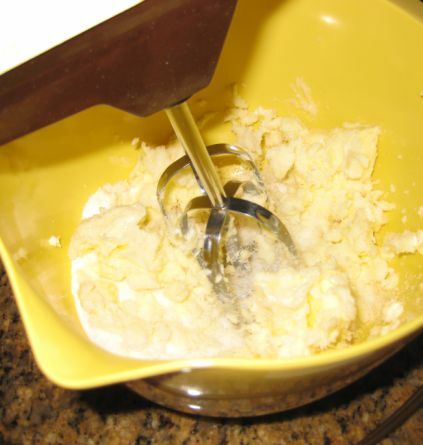 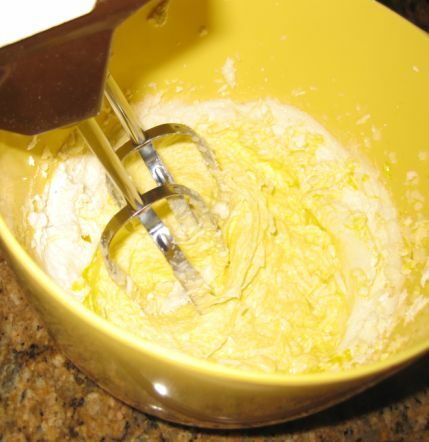 Reducing the speed to low and 3 eggs are added, one at a time, until the mixture is thick and pale and forming a ribbon. 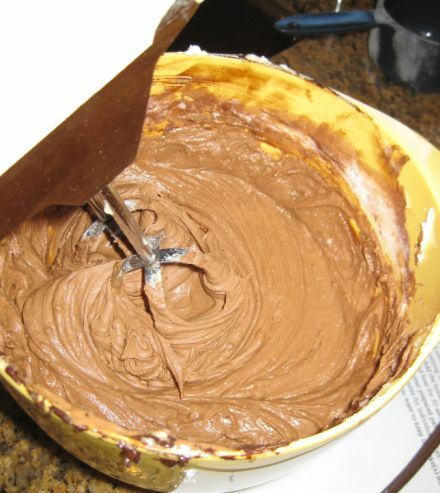 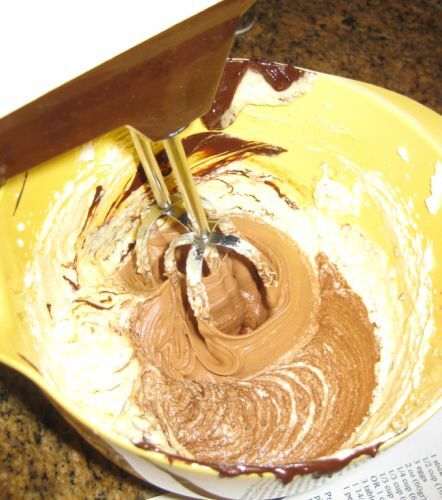 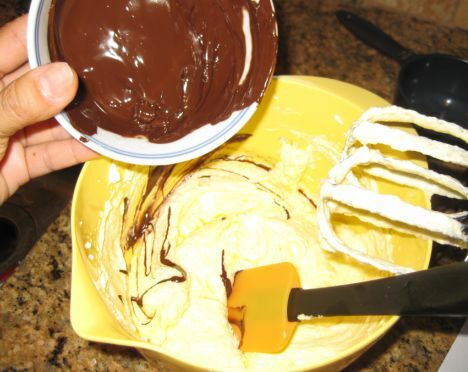 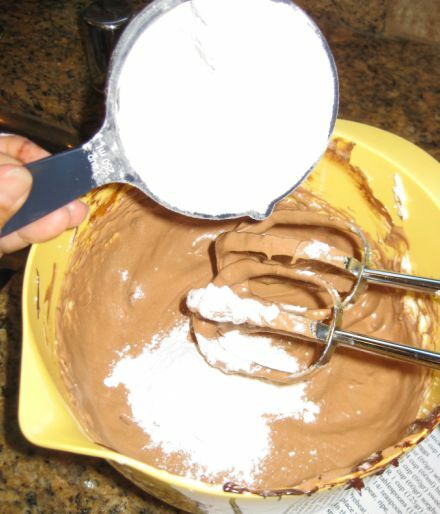 and beaten for 30 seconds or until the batter is smooth. 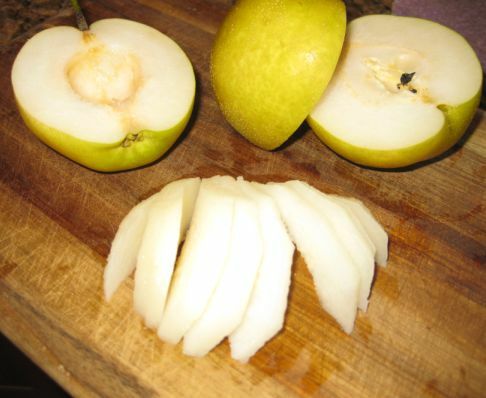 Cutting out the Asian pears into slices. 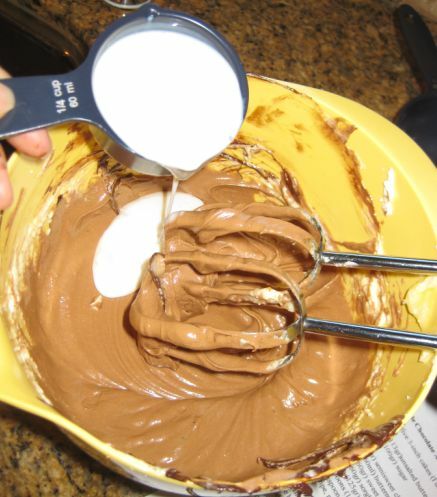 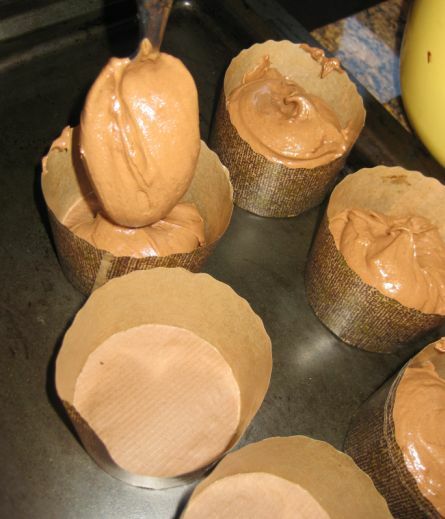 spooning the batter into individual molds. 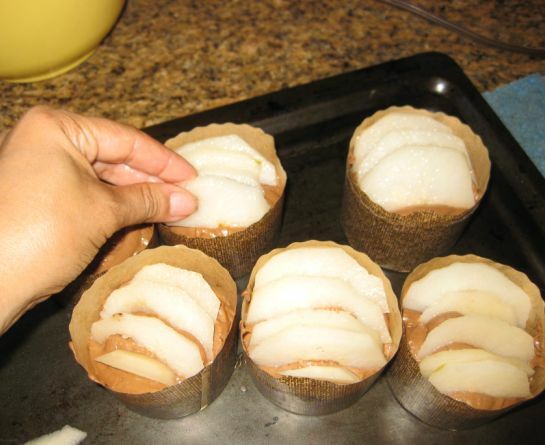 placing the slices of pears on top of the batter.